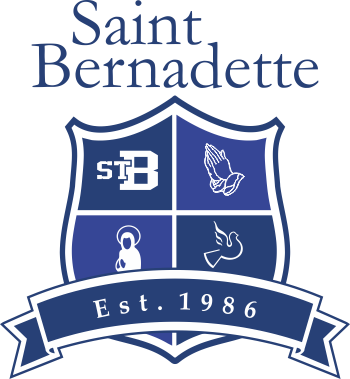 On behalf of the Society of St. Vincent de Paul here at St. Bernadette, I would like to thank all of the students, teachers and principal, as well as all of the supportive parents, for the successful conclusion of your food raising project. The Principal told me that he had hoped to raise 400 items [2 per student], but in fact you raised 1527 food items [8 per student]. That is an incredible success. You know, when we sometimes think of the hungry, we often think of those in far away lands, but in fact there are 1.3 million children in Canada living below the poverty line, and in B.C. alone, 153,000 children live below the poverty line, or one in five children. So in fact there may be families on your street [ maybe even your neighbor],and families living on your block that are living below this poverty line, and go to bed and get up hungry, and may even come to school without breakfast. Your successful project will go a long way towards helping some of these families and children, and you deserve to be very proud of your accomplishment in making this food drive such a success. The Society of St. Vincent de Paul thanks all of you girls and boys, as well as your school staff and parents for helping us to help others. Cookie/Pie orders are to be picked up on Wednesday, December 3rd between 2:15 and 5:00pm. All orders MUST be picked up on Dec. 3rd, the school does not have space to store orders. School Mass will on Friday, December 5th. On Mass days the bell rings at 8:45am. If your child is late for school on a Mass day please bring him or her to the school first to sign in at the school office. Students must be in full school uniform. The Inside Scoop is an informal way for the families to communicate with other families. It is a newsletter that typically goes out on the 3rd Wednesday of every month. If you need services, have an item to sell, giving away items, etc. this is the place to advertise. The Inside Scoop is prepared by Anne-Marie Palma and sent out through the School. If you need to place an advertisement in the Inside Scoop you can e-mail her at amfaron@yahoo.com Please e-mail her no later than the second Friday of each month. Concessions are available at $0.50 each. Thank you to those who attended our Fall Social Event at the Fox and Fiddle Pub. It was lots of fun with the toonie toss, balloon raffle, silent auction and dancing. It was nice to see the families of St. Bernadette’s community getting together! We would like to thank Stuart and Stephannie Drysdale for all their hard work in organizing this event as well as our Fall Social Committee Members. A special thank you to all the sponsors that allowed us to raise funds for our school through their generous donations. Congratulations to everyone involved! Hope to see you next year! Thank you to the families who purchased chocolates and supported this fundraiser, as well as all the volunteers who worked hard to make this possible.